Join Stitch Texas for an afternoon of education about the fashion industry. Guests will learn about the process of sewn goods design & manufacturing through tours, demonstrations and Q&A sessions with one of our owners. 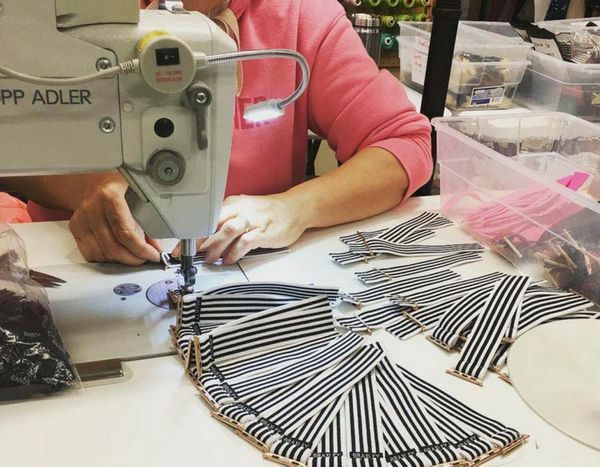 Stitch Texas serves independent designers who are seeking entry or growth in an opaque and broken industry. We guide our clients from concept to finished product, with unparalleled expertise and support, through a series of doors that are not only difficult to find, but often unable to be opened without a service provider like us. Our company is committed to helping designers bring their dreams to life, establishing a new section of the Made in USA backbone, and providing living-wage jobs to our team. Attendees will be given a snapshot of working in this industry, see demonstrations on professional equipment, and have a Q&A session with one of our owners.